Both the pageants have been rivals since 50-60 years now and even quite open about it at times. 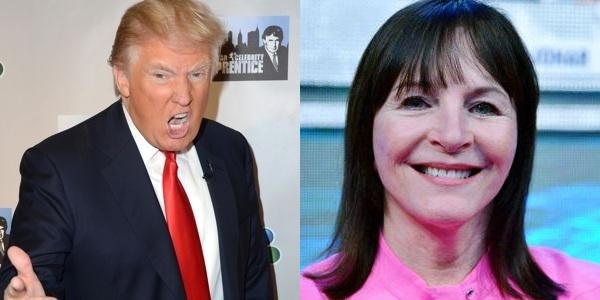 The arrogant Businessman Donald Trump lashed out against Miss World few times and the exquisite Julia Morley never conceited her feelings about the same. Let us have a look at the positive aspects of both the pageants one by one. 1) ENTERTAINMENT FACTOR – The finale has musical performances accompanied with swimsuit and evening gown rounds. There is elimination after every round and the final round plays a vital role in choice of the winner. Such logical format makes the finale highly entertaining. It is exciting to know which girls who made the list of semi-finalists. It is exciting to know which girls survived the swimsuit round. It is exciting to know which girls will face the questions from judges. It can be particularly exciting when the contestant of your country has made the cut. In fact it is almost nerve-wrecking at times, when you expect your girl to place and she finally makes it in the last spot! Compared to this, Miss World finale is like a cookery show. The fast-track results are shown one by one and then top 20 is chosen. Then directly 10 are chosen and God only knows how. And then again 5 are chosen and then a dumb question is asked to them. The only entertaining thing about Miss World finale is Dances of the World segment in which some select girls are allowed to present their culture via dancing in their national dresses. It’s fun! 2) FINALE FORMAT – The format as already mentioned makes it a logical affair. You see the girls compete in swimsuits and you have your predictions in mind. It is like, you are judging with the judges. You choose your favourites in evening gown round and compare your choices later with the actual results. You bank on the name of one girl once the last round is over and end up over-analyzing everything once the show is done with. This is entertaining and logical. It makes the pageant more credible than Miss World where there is no format. It exposes the selection-process. This is more transparent than Miss World. In fact, the format used to be better in 1990’s and the pageant was lot more fun and popular then. Also, the last round has intellectual questions, which is way better than Miss World where all the questions are just about few topics – reasons to win Miss World, goodies about the host nation, etc. 3) PHOTO-SHOOTS/VIDEOS – Every year the Miss Universe Organization follows few norms. In few days after the arrival of the girls, photos and videos of all the delegates (Miss Universe calls them “delegates”, where as they are “contestants” for Miss World) are available on the official website. The first among these is the – the shots by famous photographer Fadil Berisha. Then photos of the girls in swimsuits and evening gowns are released. Within 2-3 days, the video interviews of the girls are available. In Miss World, these are not available in such manner. Shots of girls in swimsuits are released after Beach Fashion round, but again these are not Bikini pictures (at least not this year). The evening gown shots are not available. You may see them if the girl puts them on her social media or wears her gown in some event. The videos of the girls are just general introductions. In Miss Universe, there are interviews in the videos. However, this year it was with “Truth and Dare” concept. I think Miss Universe should go back to the conventional interview questions in the videos, like did few years back. To come back to the point, such videos/photos help the fans to know more about the girls. 4) PRELIMINARY COMPETITION – The pageant has a preliminary competition few days before the finale in which all the girls present themselves in swimsuits and evening gowns. This competition helps the fans choose their favourites. Few girls who were never known before become popular (Example – Manasi Moghe from India in latest MU edition). Few girls who were popular lose their favouritism (Example – Paulina Krupinska from Poland in latest MU edition). The fans choose their favourite gowns. The girls are analysed for their walk and onstage confidence. No such thing happens in Miss World. The beach Fashion round and Top Model round give no idea about how they look in their gowns, etc. Even the Dress Designer award for scrapped this year. Miss Ukraine was a huge favorite in Miss Universe 2013 but was surprisingly left out of the top 5. Later once the scores shown on MUO website were circulated among fans, it was realized that the top 5 was chosen based on average of swimsuit and evening gown rounds for this year and hence Miss Philippines made it to the top 5 since she topped the swimsuit round, although Misses Great Britain and Ukraine had scored more than her in evening gown round. 5) SCORES – Often the scores of the girls in different rounds are made public and hence it’s fun knowing how much your favourites scored and where they lagged behind or got a lead over others. In the world driven by numbers and statistics, it is obviously more fun to know the attributes tangibly rated. It makes the selection process logical and more acceptable. Miss World had 127 countries participating and this is more than any other pageant in the world. 1) NUMBER OF CONTESTANTS – While Miss Universe has Miss Great Britain, Miss World has Miss England, Miss Wales, etc. But still, even if you ignore such tactics of Miss World Organization, the number of contestants in Miss World is way higher than Miss Universe. While Miss Universe has 80-90 girls since years, Miss World is increasing its count of contestants every passing year. In the past decade, it has rose from around 105 to the present 127. Numbers certainly indicate strength. More countries have confidence in Miss World than Miss Universe. Miss World does “better business” than Miss Universe. 2) ACTIVITIES – If the Miss Universe pageant is going on, people will inquire about finale. But when it comes to Miss World, people want to know about the pre-finale events too! Beach Fashion is the Miss World version of swimsuit competition. Top Model is the attempt of Miss World to allow the girls showcase their ramp-skills, arrange a grand show for host crowd and making money by highlighting the dresses from local designers. Talent show again allows the women to show their talent. We come to know about the singers, dancers, musicians, etc. from the bunch. Sports contest proves that there is more to women than beauty. Girls accumulate points for their performance in all these events and these are added to the scores that determine the semi-finalists and even influence the final decision about the winner. Miss India Navneet Dhillon finished 9th in Beauty with a Purpose contest. Her project was about promoting pure drinking water in a small village of her country. 3) BEAUTY WITH PURPOSE – Julia Morley has smartly increased acceptance and appreciation for the pageant from all masses by her champion concept of Beauty with purpose. Of course, this was there much before she took the charge. But under her guidance, it has been turned into a challenger event in which girls are to submit projects proving their social work. The winner gets high number of points due to which she is mostly among the finalists every year. Her video is displayed in the finale too. Such good social work initiative and its world-wide promotion earn many positive points to Miss World. It forms the essence of the pageant and Julia Morley can be proud about it. Any of the finalists (may be except Gibraltar) from Miss World 2013 would have made a fantastic winner. Eventually Megan Young of Philippines was the winner. 4) BEST SET OF CONTESTANTS – Those who follow pageants will back me up on this – Miss World always manages to get the best set of girls. Just compare the finalists of the latest editions of Miss World and Miss Universe, and you will know. Many countries send their winners to Miss World and hence the pageant turns out to be a fair of damsels. Miss Universe too has good set of girls, but somehow lags behind Miss World by a bit every year. Miss Thailand Kanyaphak Phokesomboon finished second in the Multimedia contest. Winner was Miss India whose Facebook page enjoyed more than 1,20,000 likes when she won. 5) MULTI-MEDIA PROMOTION – As mentioned before, Miss World seems to know business better than Miss Universe. All the contestants have to maintain a page on Facebook on which they will update their fans about their daily activities. The one who does this best gets an award and points for entry into semi-finalists’ list. This competition enables the fans to interact with the girls. For a month, the pages of these girls are super-popular among the fans. The latter come to know everything about some girls – who are the friendly ones, who are the arrogant ones, etc. It’s fun! Even though this initiative is started since 2 years, Miss Universe has shown reluctance to do anything in this direction! Forget about competition, they don’t ask the delegates to even maintain a fan-page! Another aspect of promotion is public voting. People’s choice award is the attempt of MWO to make money by asking people to vote. There is nothing wrong with it – it is business. How we wish the winner only got entry in top 10 and not top 5! Else, she could be someone deserving. This year Miss Gibraltar got the ticket to the top 5 (which became top 6 due to her), thanks to the votes from people. Compared to this, Miss Universe has internet vote for a spot in top 16. Unlike voting for Miss World, you can vote for free for your favourite. The easiest way to create fights in a room full of pageant-enthusiasts is to begin a debate on the topic “Miss Universe versus Miss World”. Just do it and you ensure commotion for a long time. Thus both the pageants are grand and have their own set of goodness’s. Both the pageants have had amazing winners in past, like Dayana Mendoza for Miss Universe (2008) and Aishwarya Rai for Miss World (1994). There are many who ardently support Miss World and there are many who will not take a word against Miss Universe. Even within our administrators, I happen to love Miss Universe while my colleague loves Miss World to the bone. Even discussions on the topic turn into hot debates among the fans! Still we dare to ask, which is YOUR favourite – Miss Universe pageant or Miss World pageant? Miss Universo es mejor porque el 70% de sus participantes son hermosas y miss mundo el 20% son hermosas que gran diferencia. Miss Universe is reallymore exciting to watch than Miss World. The announcement of the top 15 or 16 is giving everyone; even those watching at home heart attack especially if the girl representing her country is highly expected to enter the semis. Watching Miss Universe is like watching an olympic that you dont expect things to happen but is happening. I prefer Miss World, I only wish they incorporate move live action in the finals. Miss Universe is lacking in essence and substance nowadays.